There are many versions of this leading technology treatment for skin tightening. Which one do you choose. At Changes we work with Plasma Elite, due to its UK manufacture, quality training for practitioners and success of treatment. The technology works using a tiny needle to deliver heat to the skin which tightens and firms it. Using a tiny electrical spark to create a matrix of heat spots on the skin, shrinks and the skin fibres and boost collagen. The overall effect is one of tightening and removal of excess skin. It’s fab for eyes, fine lines, tummy areas and anywhere skin needs a bit of tightening. Why did Julie choose Plasma Elite? “The reason I had this treatment was because I’ve been conscious of 3 lines that permanently sit on either sides of my mouth and my cheeks were “crepey” after losing weight. “I still have little crusts on my face but I feel that they won’t be there much longer. My face feels tight and I’m still excited to see it without the red marks. I can feel it working! 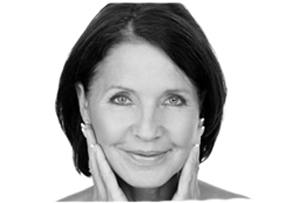 Call 02392382000 to find out more about whether this skin tightening treatment is right for you!